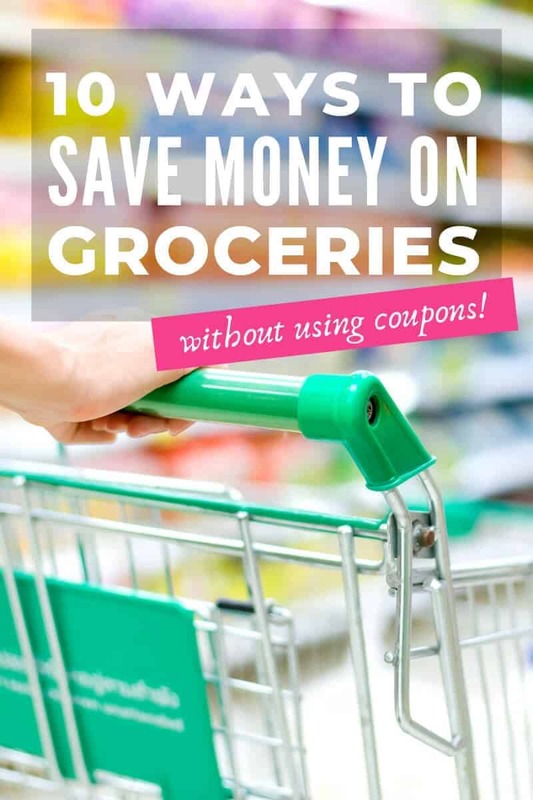 10 Ways to Save Money On Groceries without Using Coupons! Be a savvy shopper and learn how to save money on your grocery bill WITHOUT coupons by implementing some simple tweaks and tricks to reduce your spending at the grocery store. I used to love to coupon but I finally hit a point where I just couldn’t do it anymore. The clipping, sorting, and organizing can take hours and hours to do! I don’t have time for that and I think the majority of parents today are right there with me. 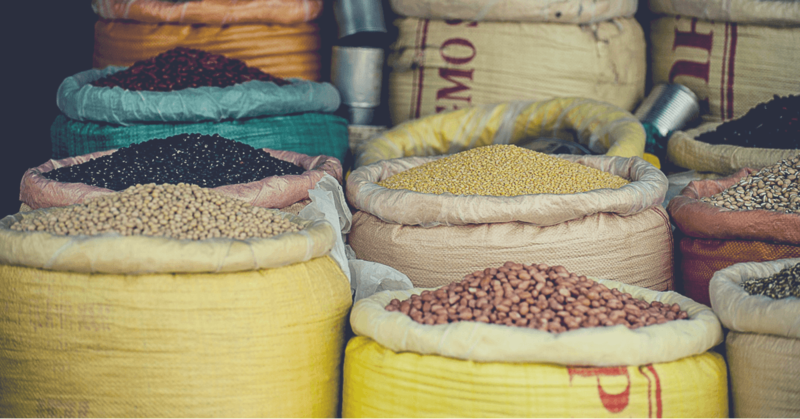 We want to save on our grocery bill but there has to be a better way to do it than treating your frugality as a full-time job! There are ways to shop smart without spending your life hunting down coupons! 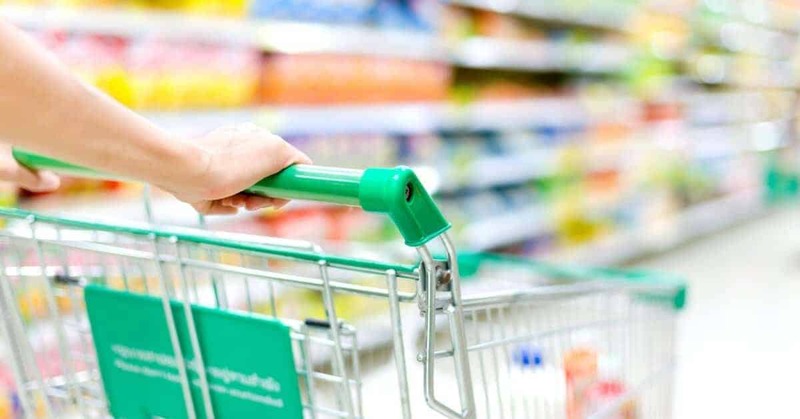 Savvy shoppers can implement simple tweaks and tricks to reduce spending at the grocery store. Read on for a look at top strategies to cut your grocery bill. 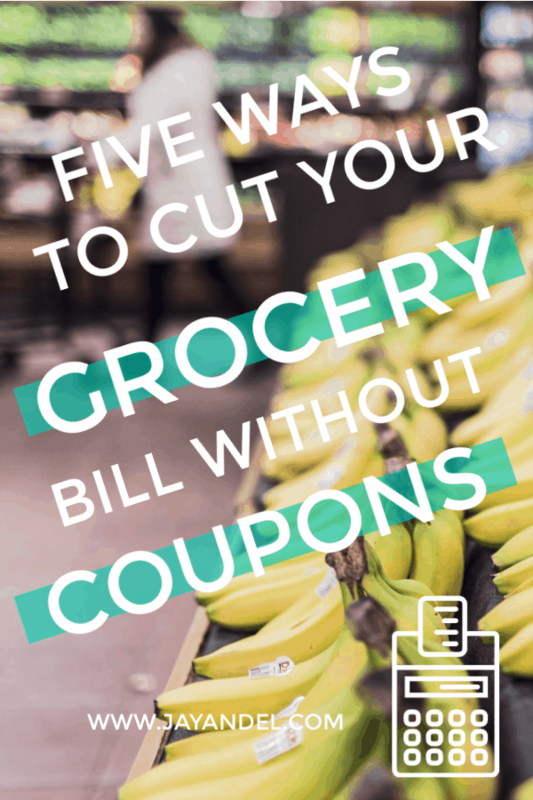 10 Ways To Save Money On Your Grocery Bill WITHOUT Coupons! 1. Shop Store Brand Products! Stores are really putting themselves out there to make sure their store brand alternatives are TRULY comparable to the big guys on the shelf and if you buy into it, you can save more than 25% off on each item you make the switch with! I taste tested some of our favorites side by side, to see if there would be a sacrifice on our part by buying the cheaper option and there really wasn’t. I have a few things that I’m very particular about (cheese, butter, peanut butter, and salad dressing), but for the most part, my taste buds cannot notice a difference. The next time you see that “compare to” sticker on the shelf, give it a try and see what you think. If you don’t love it, return it to the store OR consider donating it to a local charity or friend! The less often you shop, the more you are going to save! Keep a list of anything you find yourself buying regularly, flour, sugar, cinnamon, rice, black beans, coffee creamer, Ranch dressing, etc. If you find yourself buying the same items each month, consider upping your purchase to buy them in bulk. As a general rule, you should be able to buy a three month supply for a few dollars more than you are already spending for a one month supply. For example, flour, when purchased in bulk comes to pennies above a dollar for every five pounds. You’re paying three-four times as much when you purchase the standard five-pound bag! When I found out about this, I about fell out of my chair! I couldn’t believe I had been overpaying on flour for all these years! All because I didn’t set aside three minutes to do the math! I cannot tell you how much this find alone has saved me. TIP!! Did you know that you can shop non-perishable food items and household supplies at Costco from the comfort of your home WITHOUT being a member AND have it delivered for free? You CAN shop for great deals at Costco + enjoy free delivery on purchases over $75 without being a member! This policy can really help those of us who don’t have a Costco locally, or those who have a Costco within driving distance, but would like to skip that yearly membership fee. Now you can buy bulk household staples without making the trip! Shop smart and you can have almost all of your groceries delivered without leaving your home! What I love most about online shopping is that you can order just what you need and avoid the impulse purchases! 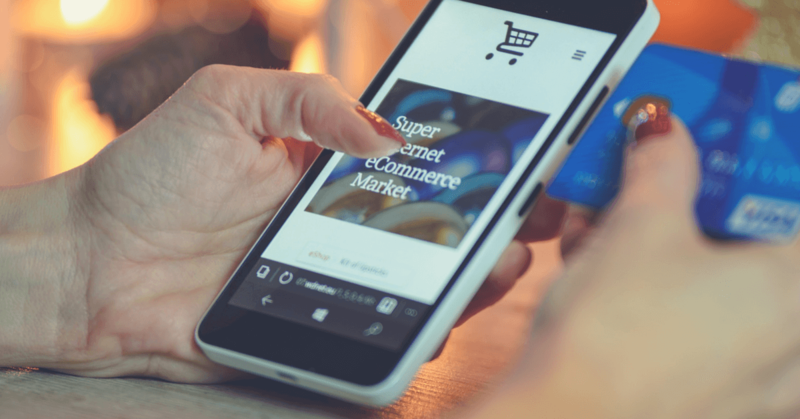 And with more and more retailers catching on that we LOVE shopping online instead, everyone now has online shopping deals! Amazon rolled out fresh delivery in select cities, Walmart has their own thing, and your neighborhood grocer may even have a throw-back delivery service available for that “down home” feel. Because most of these programs are still at the launching point, retailers are offering you BIG discounts to give them a try. In fact, I was referred a free delivery + 40% off my first order from a friend the other day in my email. We would have to spend hours couponing to get a discount like that on a shopping trip! Hours! There are two types of apps available to assist you with your grocery bill. The first is the standard “rewards” app. These apps are often helpful in the store because they may allow you to scan an item on the shelf on in your cart to price check, verify sales, or connect it with an in-app coupon. (I know, I know, I used that word, but these coupons are much easier to clip and won’t take you hours each week to organize!) But these apps also manage your rewards points for you and let you know what discounts you are eligible for. The only downfall to these apps is you may find yourself managing several apps depending on how many stores you regularly shop with. I actually had to upgrade my phone to accommodate all of the retailer apps I used. The second type of retail app is those that allow you to shop from them or those that allow in-app purchasing. Download the app for any retailer you use before you purchase anything online. Often, if it is your first time using the app, you will receive a great discount on your purchase just for giving it a try. Even if you don’t love shopping from your phone or tablet it’s well worth your time because the discount is usually much higher than any other discount code you will find otherwise. Do you love trying new foods and flavors? If you’re like me, you love trying new recipes but may not have the time to seek them out. With a subscription box, you choose from a selection of meals each week and all of the ingredients are shipped to you right with the recipe instructions. If you are someone who doesn’t have a large pantry of ingredients on hand or someone who doesn’t have time to bargain shop on their own, a subscription box may be cheaper than grabbing what you’re “craving” every afternoon. The bonus is, most plans have a referral or rewards program that will allow you to save more or earn free meals! 6. Try alternatives to your usual store. Try your local farmer’s market for the freshest and most seasonal food items. Prices are usually a lot lower because you’re eliminating the middleman. 7. Skip the convenience foods. Peel and chop your own carrots. Make extra every time you cook and freeze so you will always have pre-made food available for when you can’t cook. 8. Leave your credit card at home. If you need extra motivation to stick to your budget, leave the plastic at home and just bring cash. It’s an old-fashioned technique that really works. 9. Scan the bottom and the top shelves. Stores routinely place the priciest items at eye level – and hide the cheaper options on the top and bottom shelves. Make sure to scan the bottom and top shelves and compare the prices before you buy. 10. Learn how to meal plan. Meal planning can help you stop over-purchasing ingredients and cut your grocery bill, having a plan keeps you from eating out or hitting the expensive vending machines. 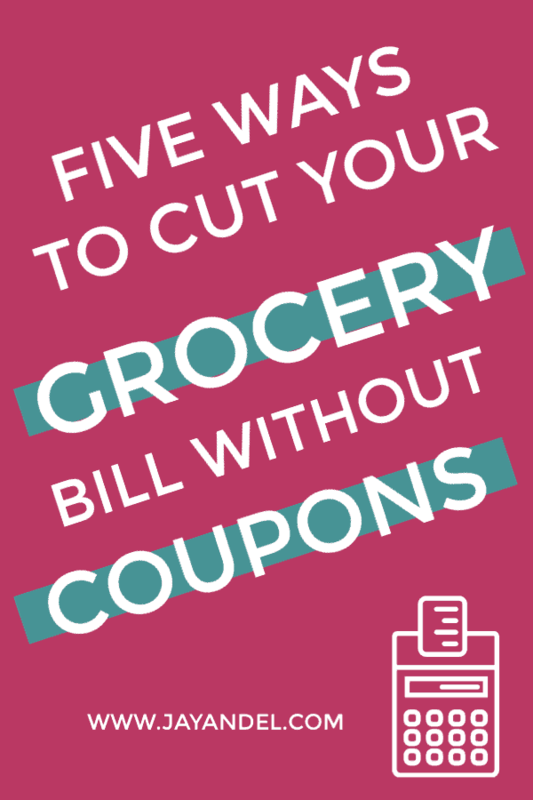 Use these tips to cut your grocery bill without the hassle of clipping coupons. And if you’re looking for more money saving tips and advice, please follow our Budgeting & Money Saving board!